ICAP, part of TP ICAP group, the world’s largest interdealer broker, is pleased to announce that its 26th annual global Charity Day will be held on Wednesday, December 5, 2018. On the day, 100% of the revenues and commissions ICAP generates globally will be donated to more than 100 charities worldwide. More than 50 charities in the U.S. alone are set to benefit from the day’s proceeds. A number of charities will be joined and represented by celebrity ambassadors at ICAP’s new offices in New York’s Financial District, where they will help brokers close deals and boost broking volumes with clients. 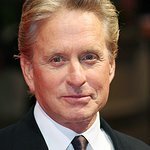 Michael Douglas, famed for his depiction of Gordon Gecko in the classic film Wall Street, is amongst the dozens of celebrities set to attend. Douglas will be representing Memorial Sloan-Kettering. Other celebrities include Henrik Lundqvist representing the Henrik Lundqvist Foundation, David Wells representing The Perfect 33 Foundation and Chris Evert representing the USTA Foundation. Thanks to the efforts of ICAP’s staff, customers and suppliers, ICAP Charity Day has raised nearly $200 million globally for more than 2,300 charities worldwide since it was launched in December 1993. In 2017 alone, $6.4 million was raised by ICAP’s 60-plus offices globally for over 100 charitable projects. To learn more, log on to www.icapcharityday.com.